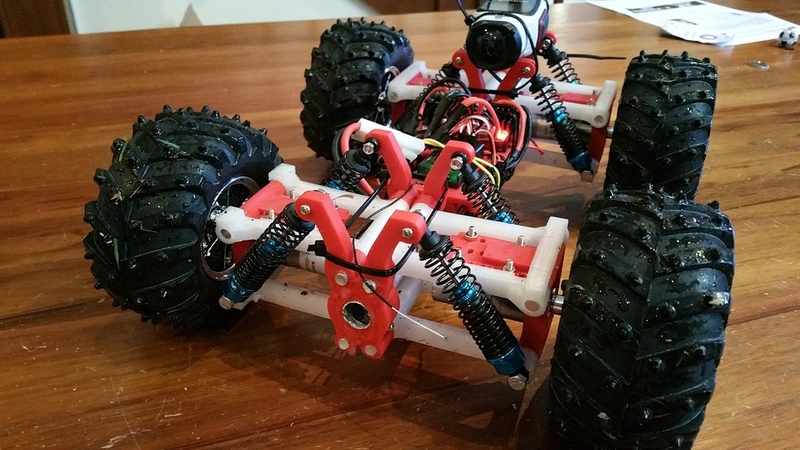 Off Road, 4wd Radio Control Car by David Beck #3DPrinting « Adafruit Industries – Makers, hackers, artists, designers and engineers! This is a strong (high load carrying) off road RC chassis. It is designed to crawl around carrying things and to climb very steep inclines. It has fully independent suspension and 1 motor at each wheel.